“The Sage from South Central” returns to the Nixon Library for a live broadcast of his nationally syndicated radio show! 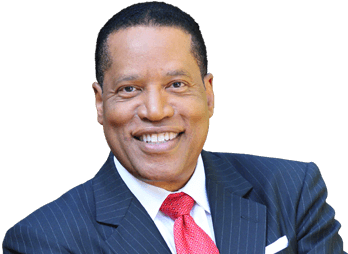 Larry Elder, the recipient of a star on the Hollywood Walk of Fame, has hosted the longest-running afternoon drive time radio show in Los Angeles, beginning in March 1994. Brooks will comment on the divisive nature of politics that is tearing America a part. One in six Americans have stopped talking to close friends or family members over politics; angry activists agitate on college campuses; television commentators scream over one another; and internet trolls degrade national debate through inflammatory rhetoric and character assassinations. Brooks shows how treating others with contempt is not a formula for success. 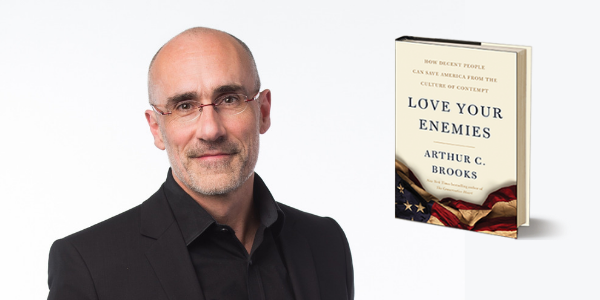 Based on cutting edge behavioral research, ancient wisdom, and a decade of experience leading one of America’s top policy think tanks, Brooks offers a new way to lead not by attacking others, but on bridging national divides and mending personal relationships. “Love Your Enemies” is not a push for moderation, holding that disagreements are the secret to excellence. It offers a clear strategy for a new generation of leaders, and is a rallying cry for people hoping for a new era of American progress. The former House Speaker and New York Times-bestselling author returns to the Nixon Library to discuss the current state of our political system and his gripping new novel Collusion – – his first book in a contemporary series filled with adventure, betrayal, and politics, that captures the tensions and divides of America and the world today. In 2013, President Xi Jinping launched “The Belt and Road Initiative” a 21st Century vision of its ancient silk road trade routes. Its stated objective is to integrate China’s growing economy through the global economic system. Through its various infrastructure projects, BRI runs through the continents of Asia, Europe, and Africa investing trillions in railroads, ports, pipelines, fiber-optic cables, satellites and internet connectivity. As a consequence of China’s vision for global economic expansion, Chinese companies now have a controlling stake in 76 ports in 35 countries across the world. To protect its vast interests, China has also expanded its global security presence. How does the BRI conform with China’s geopolitical ambitions? What does it mean for America’s interests and security? 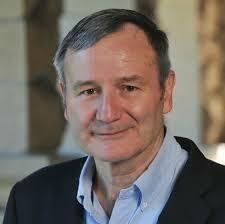 Karl Eikenberry is the Oksenberg-Rohlen Fellow, Director of the U.S.-Asia Security Initiative and faculty member at the Shorenstein Asia-Pacific Research Center, Stanford University. He is a Stanford University Professor of Practice, and an affiliate at the FSI Center for Democracy, Development, and Rule of Law, Center for International Security Cooperation and The Europe Center. Prior to his arrival at Stanford, he served as the U.S. Ambassador to Afghanistan from May 2009 until July 2011, where he led the civilian surge directed by President Obama to reverse insurgent momentum and set the conditions for transition to full Afghan sovereignty. 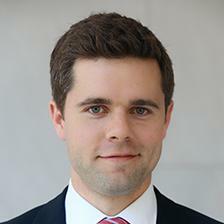 Jonathan Hillman is a senior fellow with the CSIS Simon Chair in Political Economy and director of the Reconnecting Asia Project. At CSIS, he leads an effort to map and analyze new roads, railways, ports, and other infrastructure emerging across the supercontinent of Eurasia. Prior to joining CSIS, he served as a policy adviser at the Office of the U.S. Trade Representative, where he directed the research and writing process for essays, speeches, and other materials explaining U.S. trade and investment policy. At USTR, he contributed to the 2015 U.S. National Security Strategy, the President’s Trade Agenda, and numerous Congressional testimonies. Christina Lin (Moderator) is a Research Fellow at the Center for Global Peace and Conflict Studies at the University of California, Irvine. Her research focuses on China-Mediterranean/Middle East relations and ways for U.S.-China cooperation in a changing international order. Prior to her arrival at UCI, she was a former Transatlantic Academy Fellow at the German Marshall Fund of the United States and Fellow at the Center for Transatlantic Relations at SAIS-Johns Hopkins University. 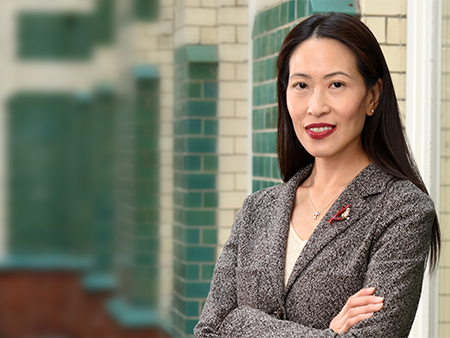 She has extensive US government experience working on China security issues, including policy planning at the Department of Defense, the National Security Council, and Department of State. 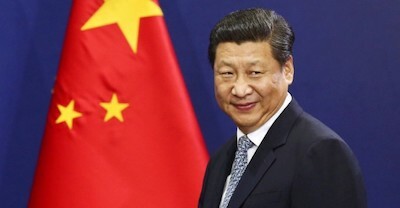 Top Photo: President Xi Jinping (Bloomberg). Honor the American military this memorial day by paying special tribute to POWs and their families. Panelists include POW wives Jenny Connell Robertson and Patsy Crayton, as well as historian Heath Hardage Lee, author of The League of Wives, the first in-depth look at the political power of POW spouses, who ignored social protocol to help[ free their husbands. Moderated by Audrey Coleman, curator of The League of Wives, a traveling exhibition sponsored by the Robert J. Dole Institute. Before he was the U.S. Senator from Arkansas, Tom Cotton was a platoon leader with the storied 3rd U.S. Infantry Regiment— “The Old Guard” — on combat tours in Iraq and Afghanistan. 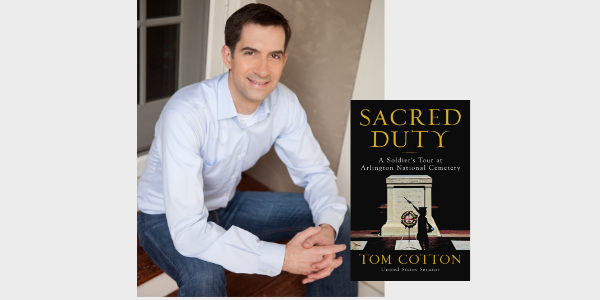 Join us on May 29, 2019 as Senator Cotton discusses his new book Sacred Duty: A Soldier’s Tour at Arlington National Cemetery, an extraordinary journey behind the scenes of Arlington National Cemetery. 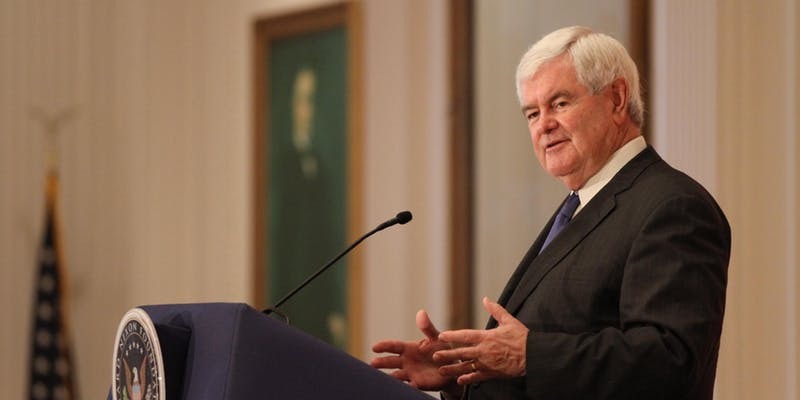 The program will be moderated by incoming Nixon Foundation President Hugh Hewitt. Event admission includes an autographed copy of Sacred Duty! An extraordinary journey behind the scenes of Arlington National Cemetery, Senator Tom Cotton’s Sacred Duty offers an intimate and inspiring portrait of “The Old Guard,” the revered U.S. Army unit whose mission is to honor our country’s fallen heroes on the most hallowed ground in America. Cotton was a platoon leader with the storied 3rd U.S. Infantry Regiment—The Old Guard—between combat tours in Iraq and Afghanistan. At the height of the Iraq Surge, he carried the flag-draped remains of his fallen comrades off of airplanes at Dover Air Force Base, and he laid them to rest in Arlington’s famed Section 60, “the saddest acre in America.” He also performed hundreds of funerals for veterans of the Greatest Generation, as well as the Korean and Vietnam Wars. The Old Guard has embodied the ideals of honor and sacrifice across our nation’s history. America’s oldest active-duty regiment, dating back to 1784, The Old Guard conducts daily military-honor funerals on the 624 rolling acres of Arlington, where generations of American heroes rest. Its soldiers hold themselves to the standard of perfection in sweltering heat, frigid cold, and driving rain. 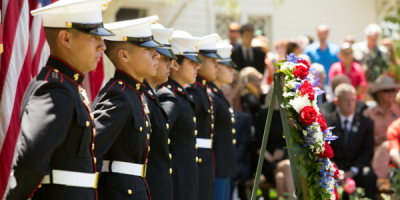 Every funeral is a no-fail, zero-defect mission, whether honoring a legendary general or a humble private. Part history of The Old Guard, part memoir of Cotton’s time at Arlington, part intimate profile of today’s soldiers, Sacred Duty is an unforgettable testament to the timeless power of service and sacrifice to our nation. Tom Cotton is a United States Senator from Arkansas. He served in Iraq with the 101st Airborne Division and in Afghanistan with a Provincial Reconstruction Team. Between combat tours, he served with the United States Army’s 3rd Infantry Regiment (“The Old Guard”) at Arlington National Cemetery. His military decorations include the Bronze Star, the Combat Infantryman Badge, and the Ranger Tab. He served one term in the House of Representatives before being elected to the Senate. This race is a celebration of the 50th anniversary of the Apollo 11 moon landing and the kick off to a day of family fun. Racers are encouraged to dress in their best spacesuits — or any other out of this world costume! — for this race which will follow a moderate course that is accessible for runners of all levels. Strollers welcome! PLUS! Registration cost also includes admission to the all new Apo11o Special Exhibit which includes rarely seen artifacts from the Apollo 11 mission and a virtual reality experience! Sign up today to save your spot for a race of intergalactic proportions. Early bird pricing is ending soon! Blast off is at 8AM! NOTE: This race will blast-off and splash down at the Richard Nixon Presidential Library. Costumes are encouraged but not required. *Children 4 years and under are invited to participate at no cost, however they will NOT receive a bib, timing, shirt, or medal.